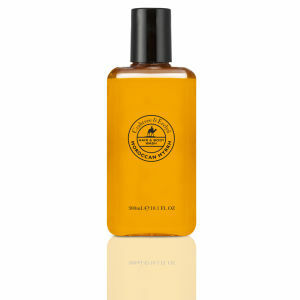 Experience an aromatic and invigorating cleanse with the Crabtree & Evelyn Moroccan Myrrh Body Wash. Combining the finest myrrh and bergamot with moisturising glycerine, the luxurious gel works to condition the hair and body whilst effectively removing daily grime. Delicately fragranced, the formula imparts a masculine scent of myrrh, petitgrain and cardamom with a dash of black pepper. - K.N. Apply a quantity of body wash to wet hair, scalp and body and work into a rich, cleansing lather.